People don't like you because you complain all the time. People don't like people who complain all the time. I explained this to my students after hiking The Freedom Trail in Boston with them. "I was so proud of you," I said. "In past years, some students complained a lot. Complained about being tired. Complained about walking. One kid once told me he had a terrible time because all we did is walk around and look at stuff." The worst, I told them, is when someone complains about something that can't be changed. The length of the walk. The heat. The hills. 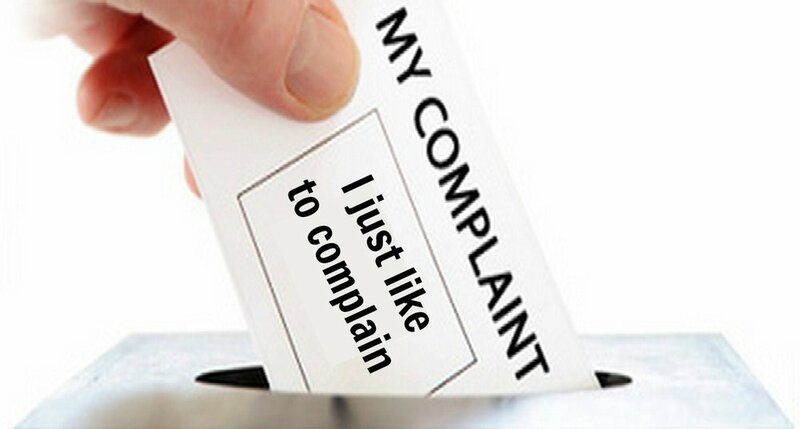 "People don't like complainers." This is one of those universal truths that everyone knows is true and yet is so often ignored. If it's a 10 year-old kid, I can understand. Kids lack wisdom and perspective. They're still learning. Either way, it's a damn tragedy. Their constant complaining never get them any closer to a solution to their problems, and they often damage their relationships with others in the process. I assume that people who constantly complain are fundamentally unhappy people, and while I can sympathize with their unhappiness, I also know that the complaining only serves to make them even less happy. It's an ugly feedback loop that seems to never end. People are drawn to positivity. Optimism. Solutions. Forward momentum. We know this, but so often, we fail to put this knowledge into practice. This is not to say that complaining about something is wrong or that you must exude positivity and optimism at every moment. We can't be happy and satisfied at all times. I get quite annoyed, for example, when stuck behind someone in line at a convenience store who is requesting an assortment of scratch tickets. If you're going to purchase $50 in scratch tickets and then immediately scratch them inside the store beside the rack of Cheetos, I feel like you should be forced to stand in a special line for really, really dumb people. See? I can complain, too. I've also been known to complain about household clutter, my family's inability to turn off lights when leaving a room, the shot selection of Marcus Smart, men who think that watches are objects worthy of even a second of discussion, drivers who adhere to "No Right on Red" signs when the intersection is empty, pickles placed beside my hot dog like a garnish, golfers who roll their ball into a preferable position on the fairway, speed tables in wealthy neighborhoods, and dress codes of any kind. Complaining is not the problem. It's the ratio of negativity to positivity that I'm talking about. The frequency by which a person complains. For some people, the ratio of negative to positive comments is off the charts. How often do I complain about things beyond my control? Listen to yourself. Try to be self-aware. People don't like people who complain. Objectively, I think we all understand this. In practice, I'm not so sure.